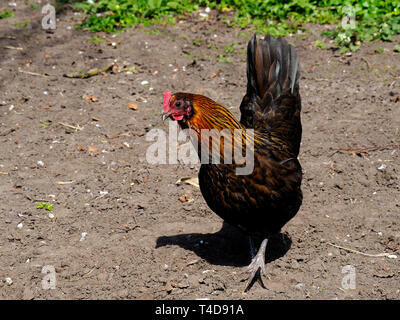 A Welsummer hen displays its fine plumage. 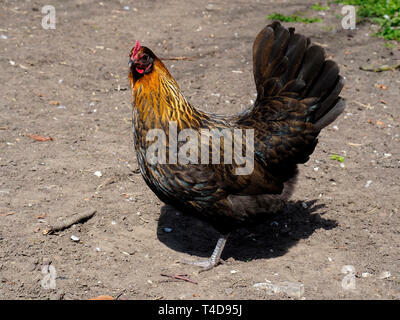 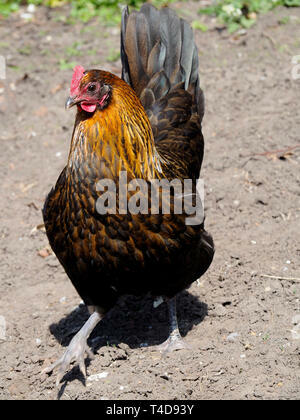 This poultry breed originated in Holland in the town of Welsum. 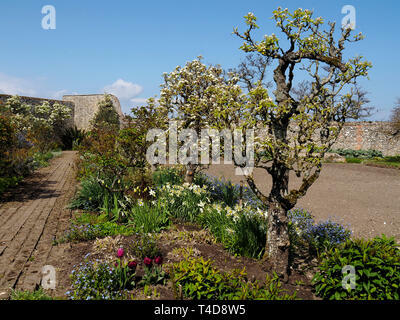 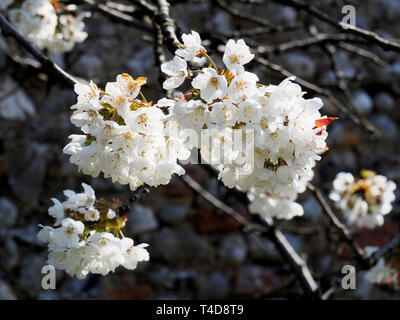 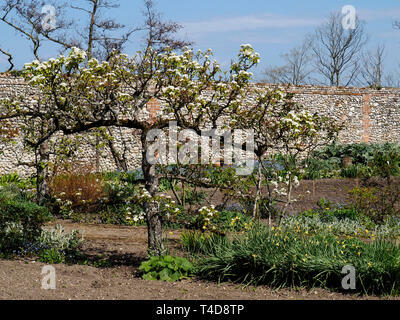 Blossom on old espalier apple trees in a walled garden with other sping flowers below. 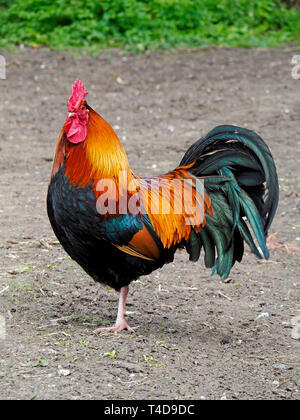 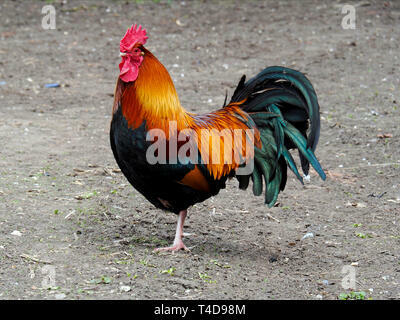 The beautiful plumage of this Welsummer cockerel (rooster) is evident in this fine bird here standing on one leg. 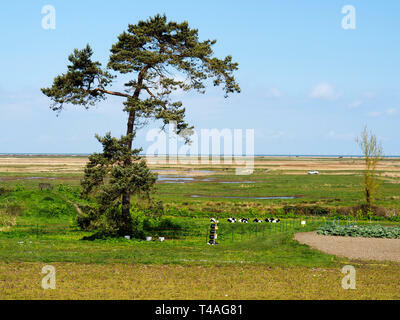 A view across Cley Marshes, a large area of salt marsh on the North Norfolk coast, as seen from near Wiveton Hall. 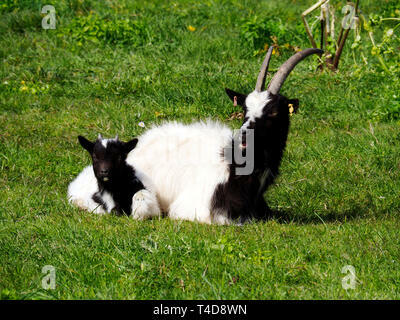 Black and white Bagot goat with full horns. 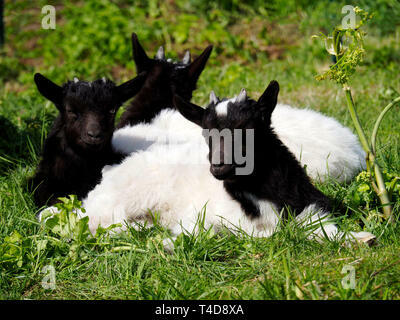 Black and white Bagot goat with kids inn a grassy paddock. 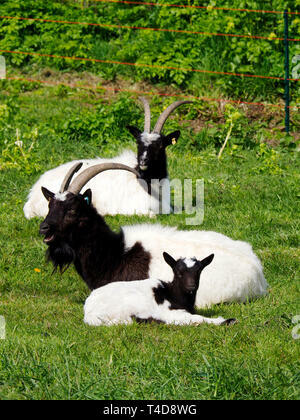 The nanny goat has full horns and the young kids show small horn buds. 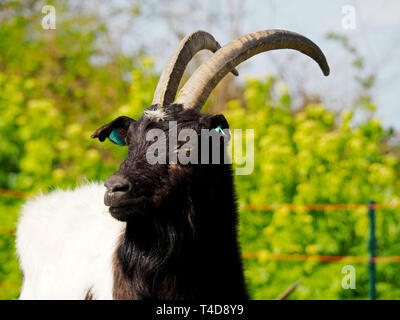 with full horns. 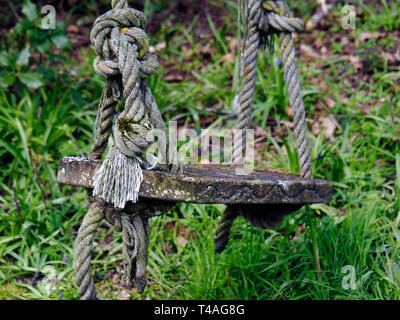 An old wooden garden swing and old hemp ropes decaying in a woodland garden. 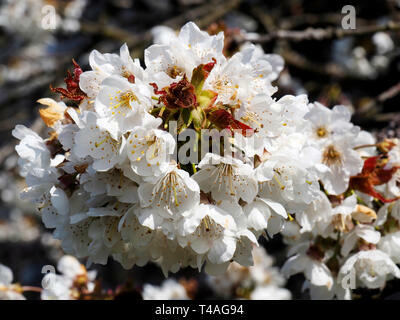 White apple blossom makes a fine display on an April day. 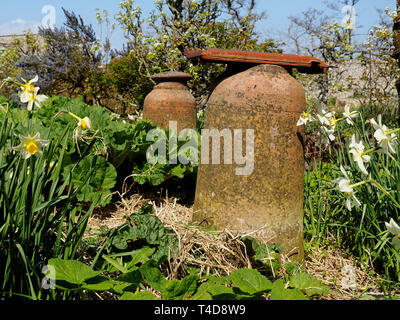 Old fashioned terracotta forcing jars used to force early rhubarb in this rustic country garden. 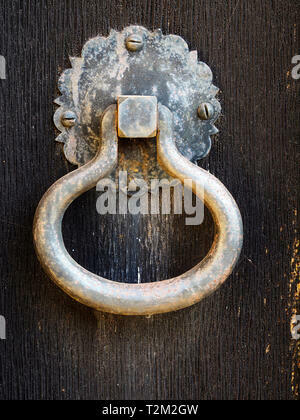 Old cast-iron door knocker or door handle from the 17th century on a dark stained oak door. 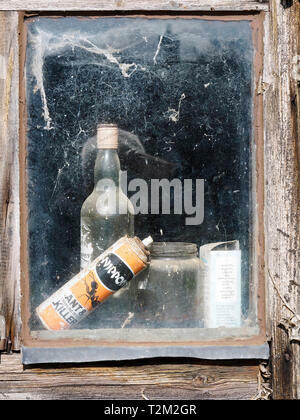 A glimpse through the window of an old garden shed with abandoned bottles and cans seen through cobweb covered glass. 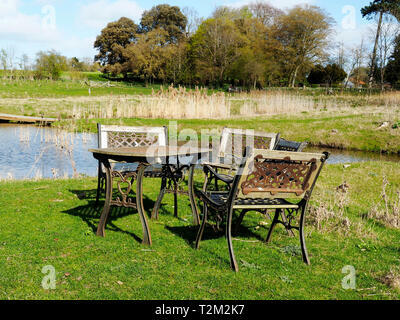 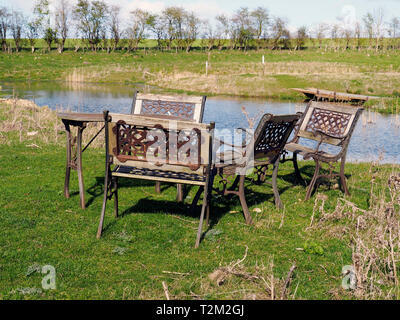 Heavy cast iron and wood garden furniture in a slightly surreal location in the middle of an area of meadow and man-made ponds. 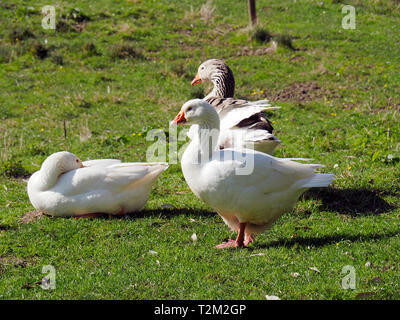 Domestic geese rest in a grassy meadow. 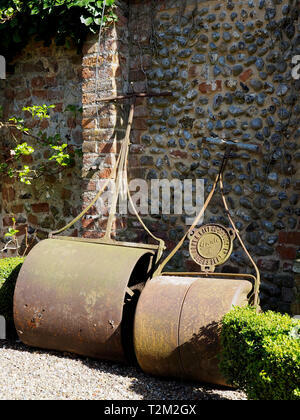 Two large possibly Victorian cast iron garden rollers leaning against abrick and flint garden wall. 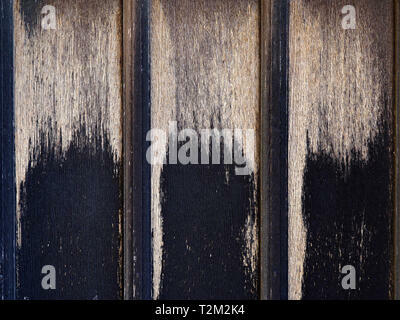 Weathering patterns in the patina of an old oak door from the 17th century. 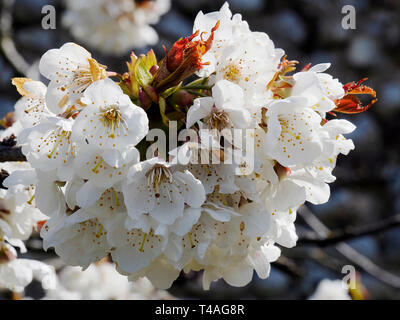 Image would make a nice background. 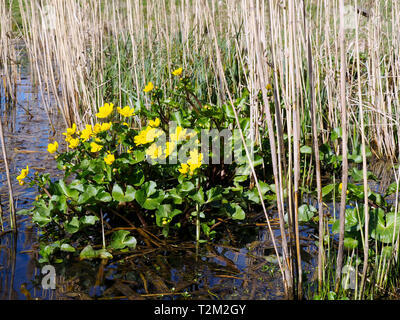 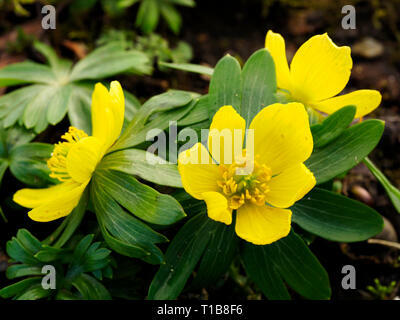 The marsh marigold or kingcup (Caltha palustris) is a perennial plant of the buttercup family native to wetlands and marshlands in northern Europe. 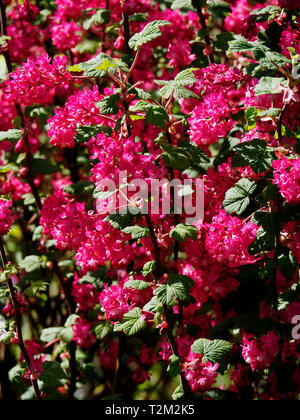 The Flowering Currant (Ribes sanguineum) is a reliable peformer ion a spring garden with its bright flowers and pungent scent. 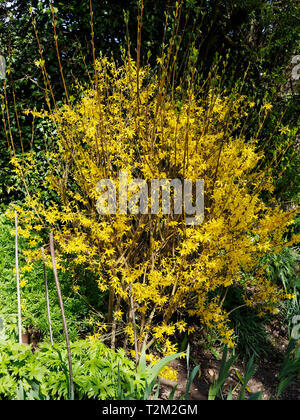 A forsythia plant adds dramatic flair to a the early spring garden and are among the first plants of spring to burst into flower. 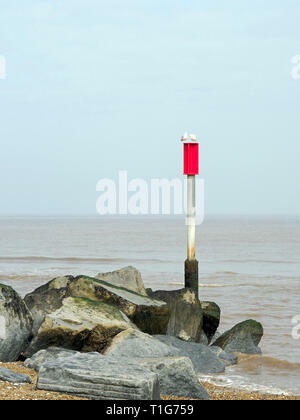 A rock groyne on Horsey Beach, Norfolk traps sand from the longshore drift.The pylon and red warning plate are for the protection in inshore boats. 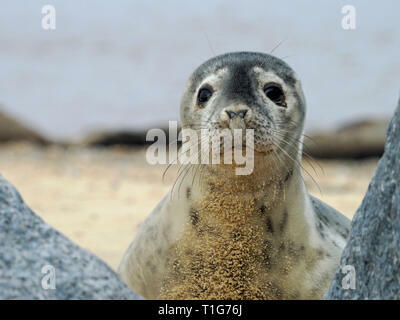 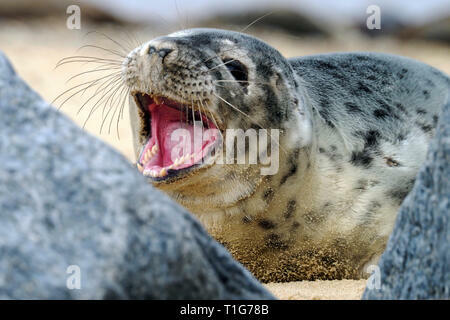 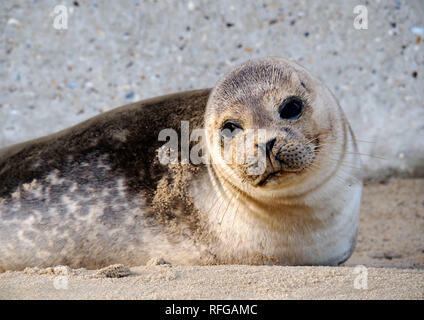 Young grey seals on Horsey Beach , Norfolk take a keen but wary interest in the photographer who has approached too closely. 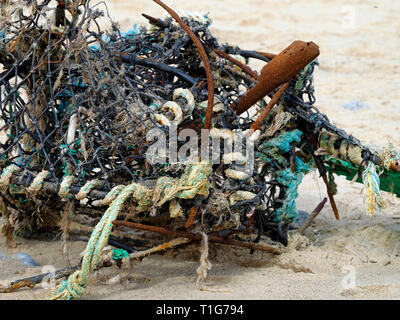 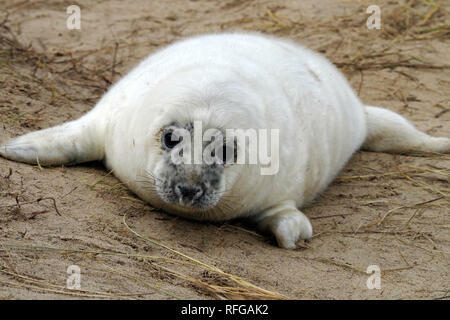 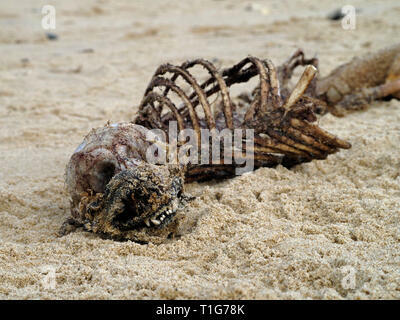 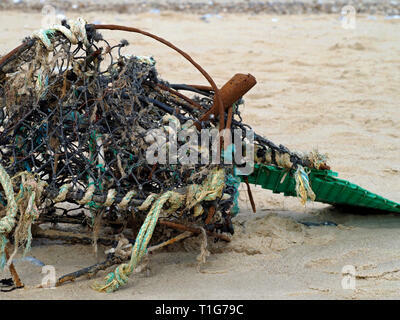 Skeletal remains of a dead grey seal pup lies in the sand of Horsey Beach Norfolk, having been stripped of flesh by sea birds. 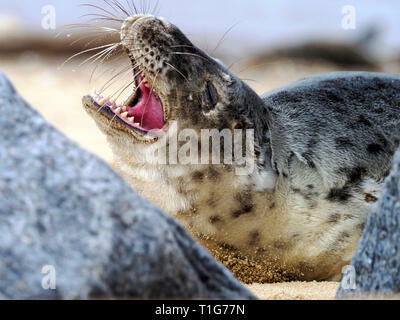 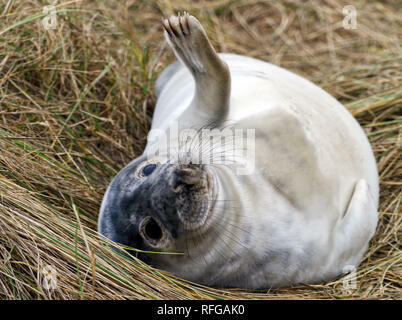 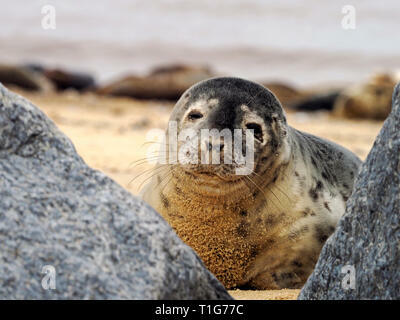 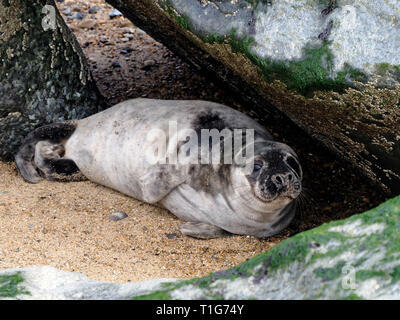 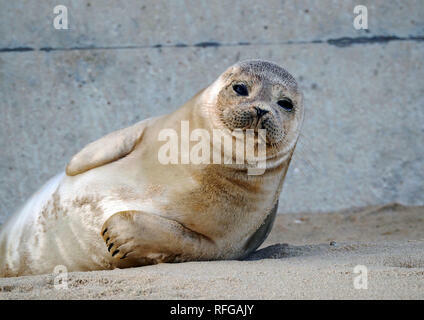 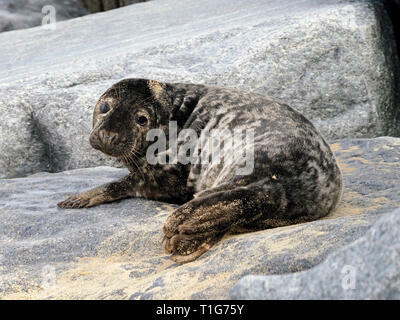 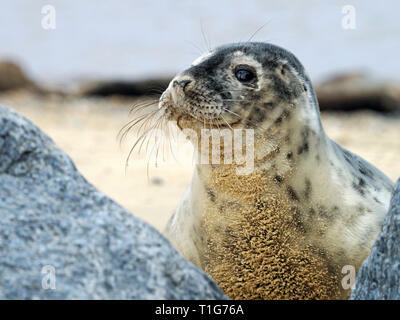 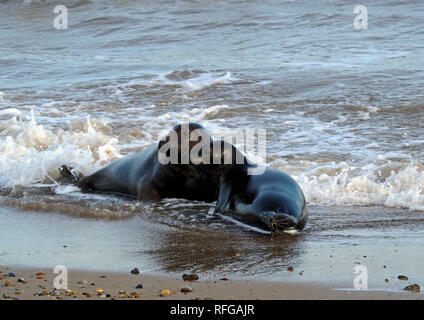 Young male or bull grey seal on Horsey Beach , Norfolk take a keen but wary interest in the photographer who has approached too closely. 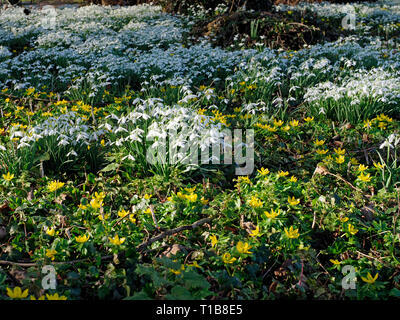 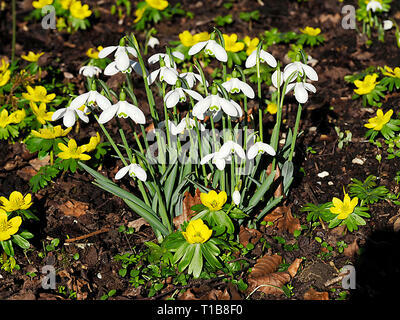 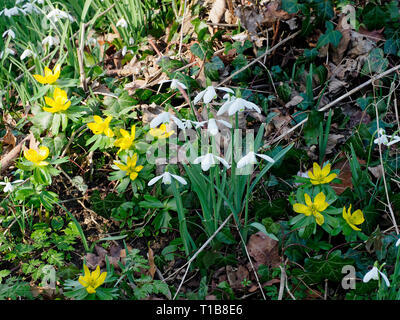 Snowdrops (Galanthus Nivalis) and winter aconites (Eranthis) naturalised in a woodland garden provide a stunning February display. 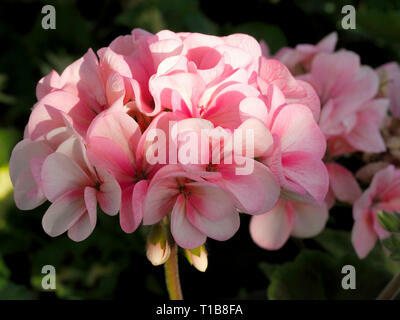 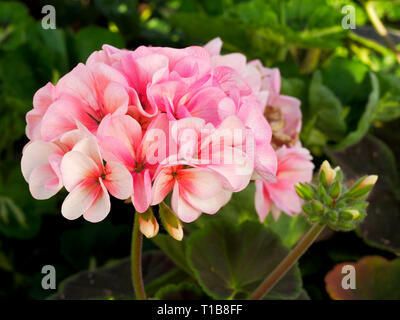 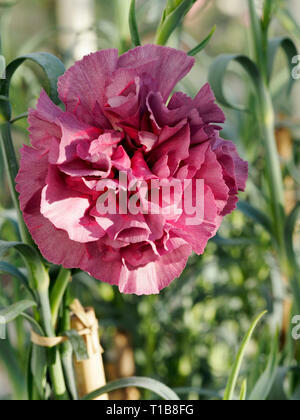 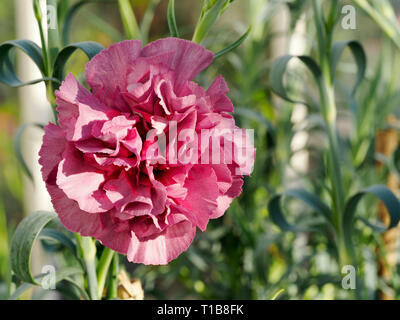 A variety of pelargonium (geranium) with a large mop head of pink flowers shown in dappled sunlight within a greenhouse. 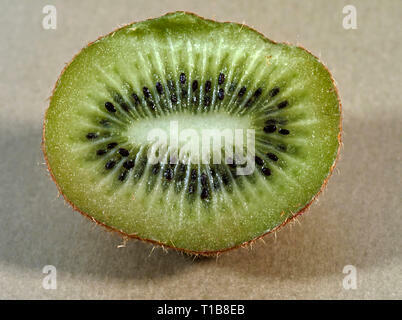 Close-up of a kiwi fruit sliced in half showing a cross-section through the core of the with both flesh and seeds visible. 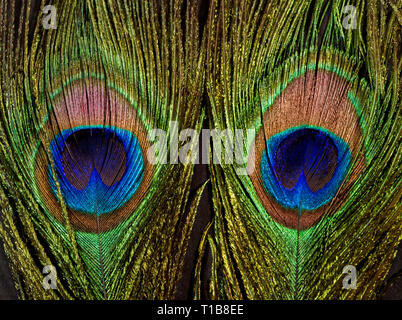 Feather eyes in the brilliantly coloured tail fathers of a peacock shown here in close-up detail. 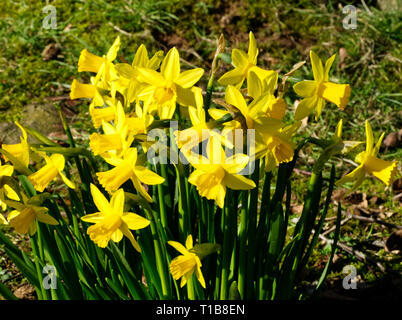 A large clump of bright yellow daffodils naturalised in a garden. 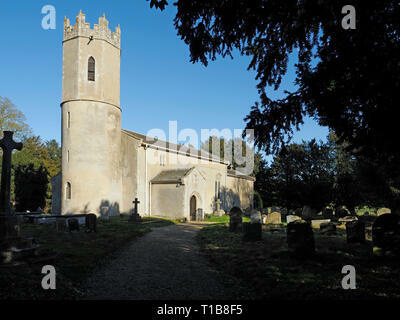 Raveningham church, dedicated to St Andrew, is medieval in origin and has one of the round towers common in Norfolk. 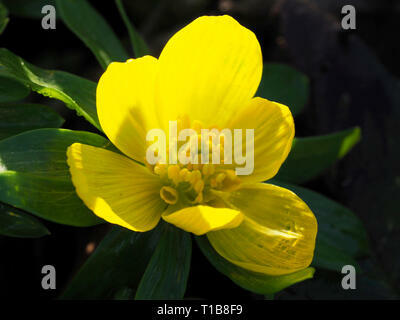 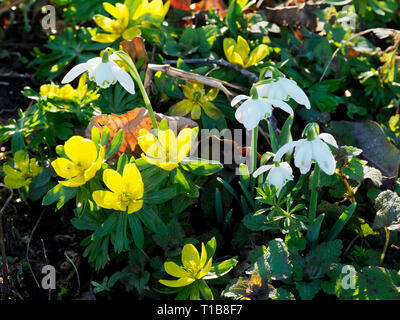 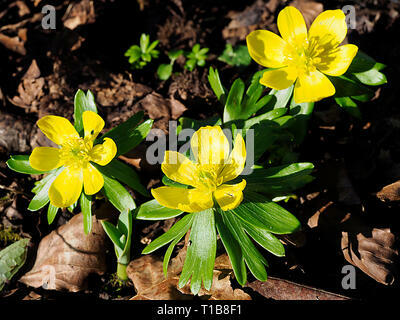 The bright yellow flowers of the winter aconite (Eranthis) brightens up the garden at the end of winter in February. 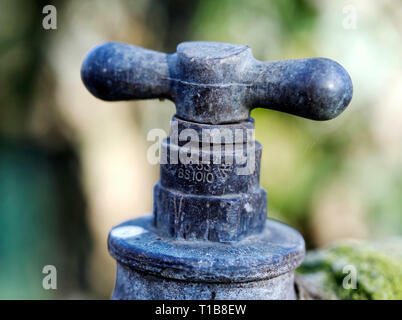 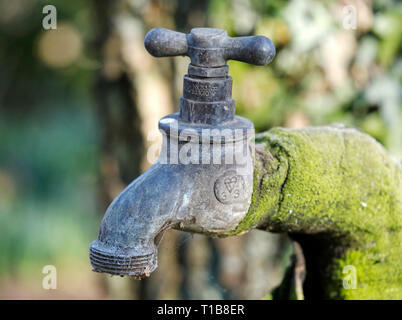 Close-up detail of weathered brass outdoor water tap. 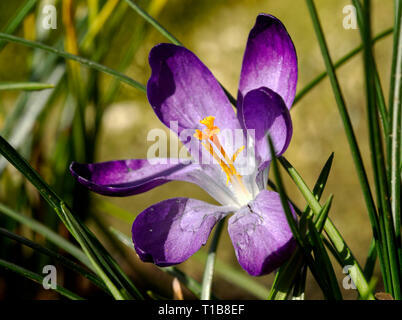 A purple flowered crocus flower fully open showing anthers and stamens. 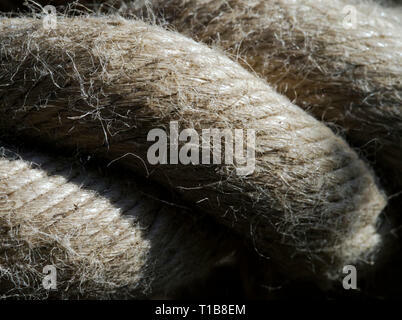 Detail close-up of a thick hemp rope. 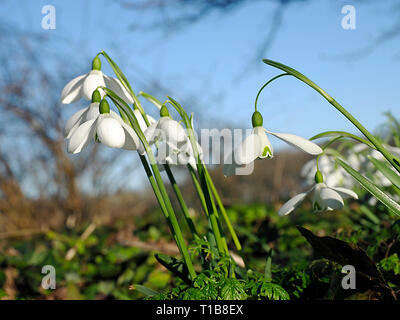 The bright white flowers of snowdrops (galanthus nivalis) herald the end of winter. 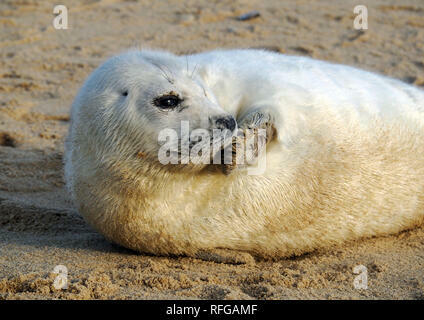 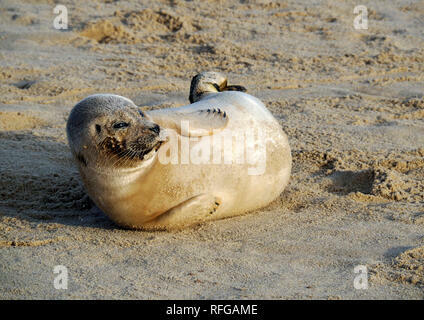 Grey seal pups on the beach at Horsey, Norfolk, one of the main breeding sites for these endearing marine mammals on the east coast of England. 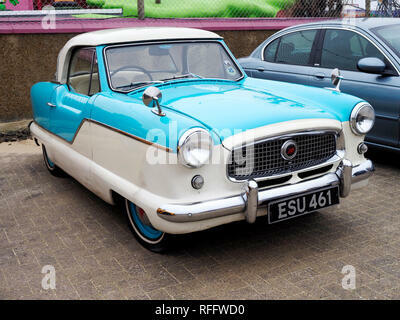 A series 3 Nash Metropolitan, known as Austin Metropolitan in the UK compact car from the late 1950's displayed at a car show in Gt Yarmouth. 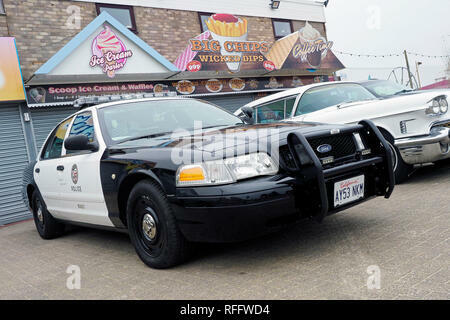 Ford Crown Victoria P71 Police V8 Interceptor that once served the LAPD displayed at a class car show in Great Yarmouth. 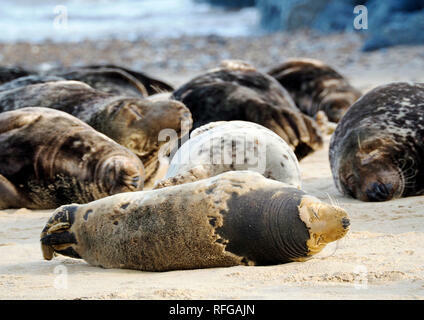 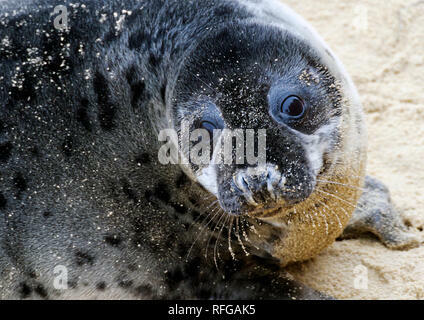 Grey seals hauled out for moulting on the beach at Horsey, Norfolk, one of the main sites for these marine mammals on the east coast of England. 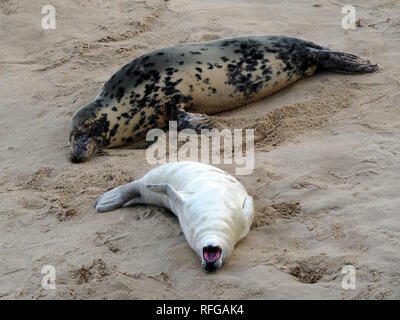 Grey seal mother and pup on the beach at Horsey, Norfolk, one of the main breeding sites for these marine mammals on the east coast of England. 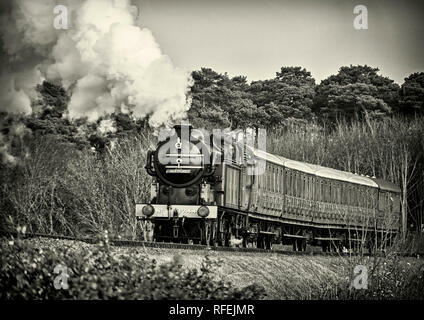 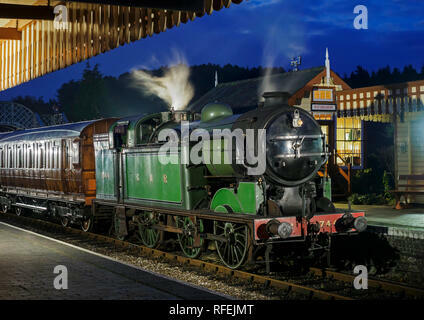 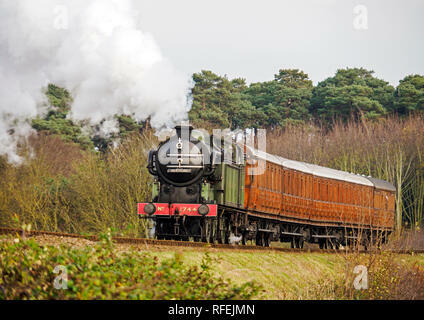 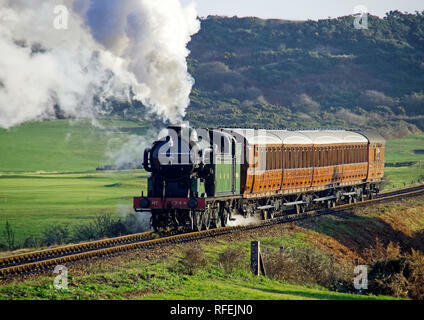 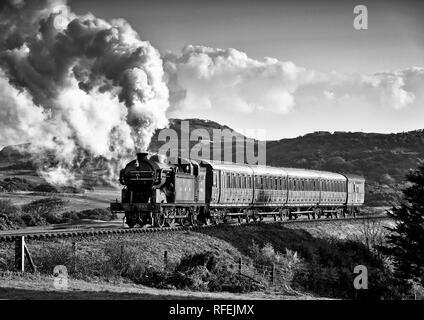 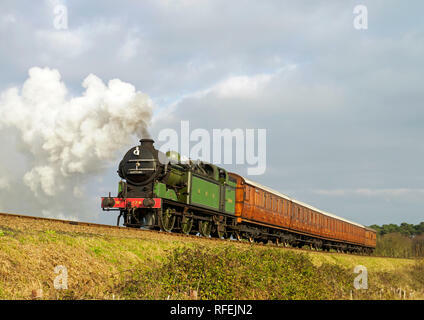 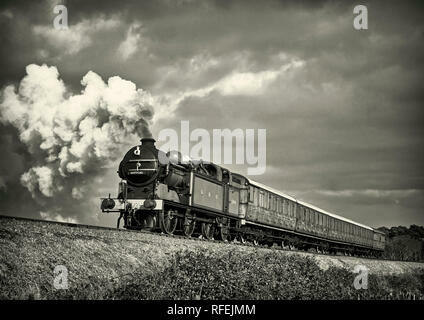 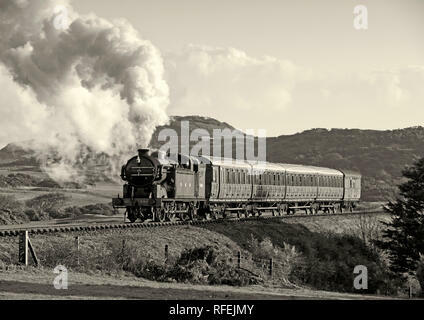 Ex GNR N2 class loco and a Gresley designed Quad-Art set of articulated suburban carriages recreate a commuter train from the mid-1920's. 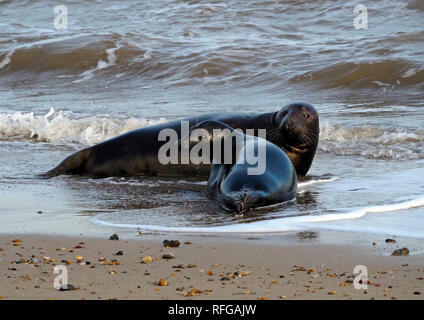 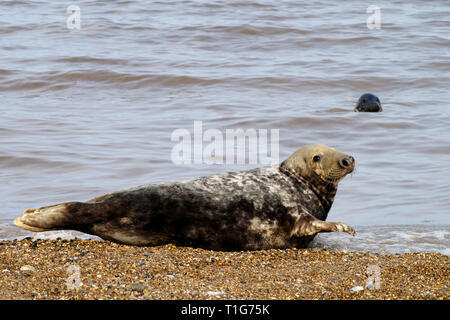 Grey seals frolic in the surf on the beach at Horsey, Norfolk, one of the main sites for these endearing marine mammals on the east coast of England. 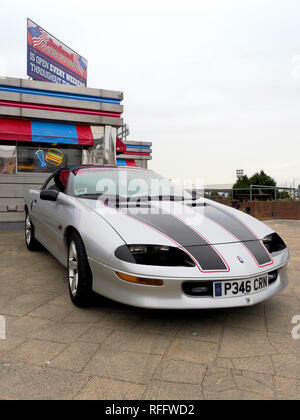 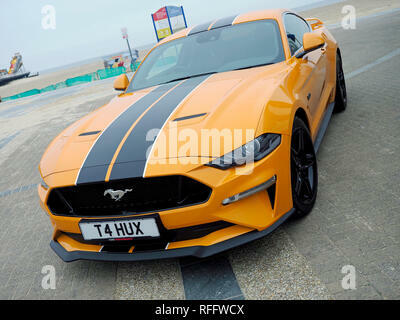 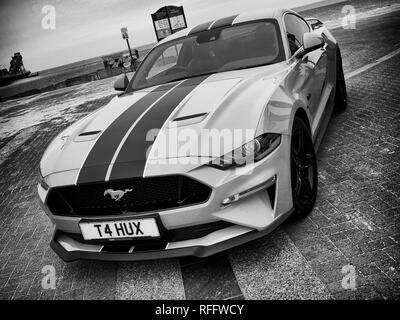 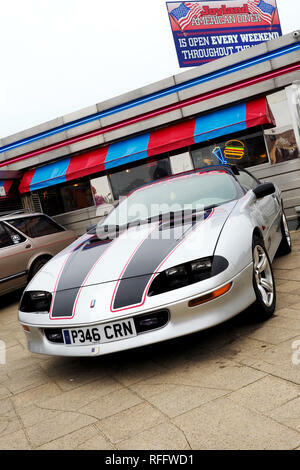 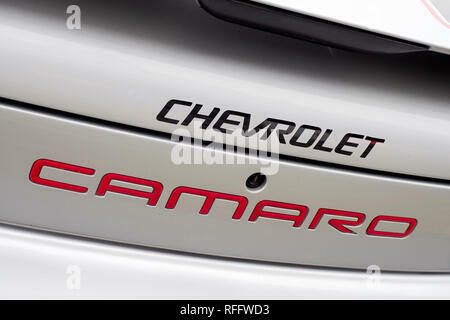 A silver fourth generation Chevrolet Camaro sports coupe from the late 1990's at a classic car meet in Great Yarmouth. 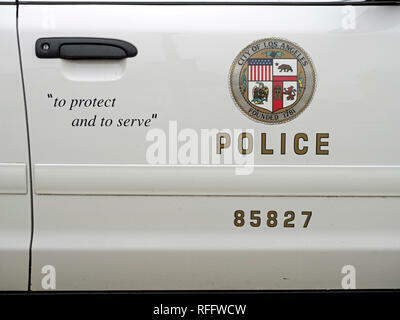 LAPD insignia on a Ford Crown Victoria P71 Police V8 Interceptor that once served in Los Angeles displayed at a class car show in Great Yarmouth. 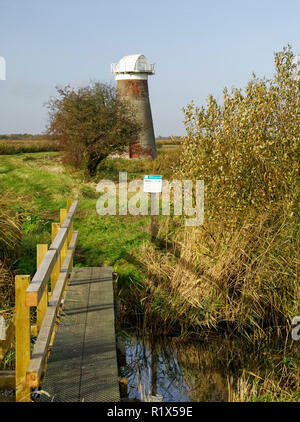 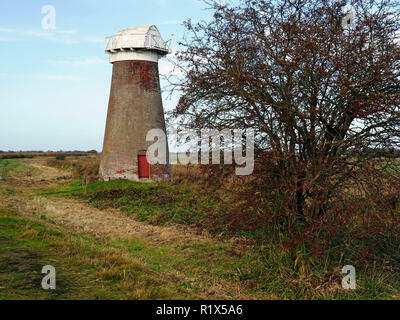 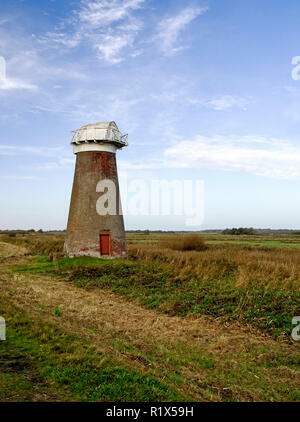 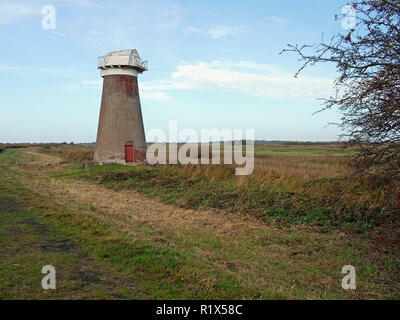 The disused drainage wind pump on the marshes at the edge of Martham Broad at West Somerton, Norfolk. 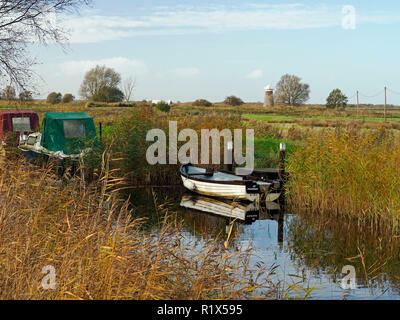 Boats moored in the narrow cut of West Somerton staithe, a remote part of the Norfolk Broads accessed via the River Thurne and Martham Broad. 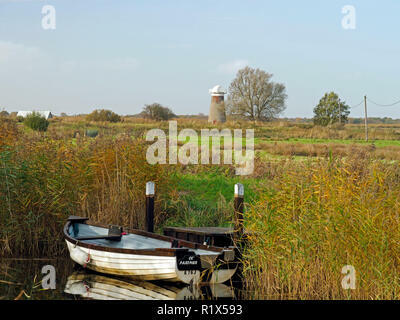 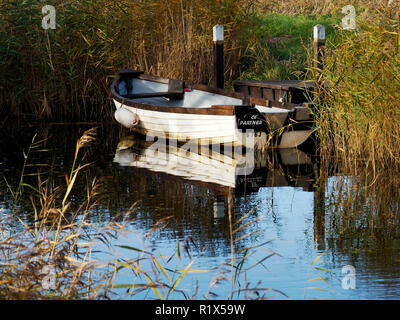 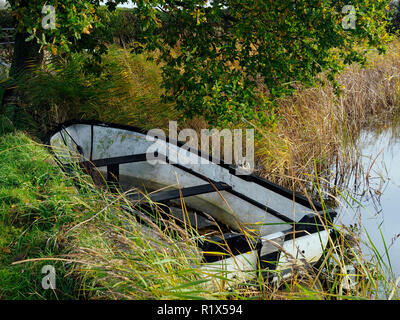 Boat moored in the narrow cut of West Somerton staithe, a remote part of the Norfolk Broads accessed via the River Thurne and Martham Broad. 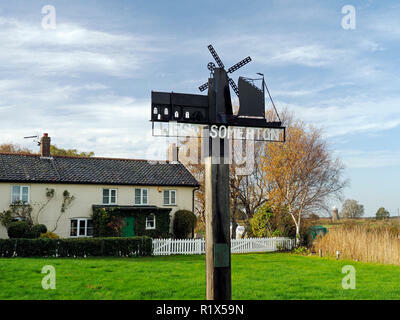 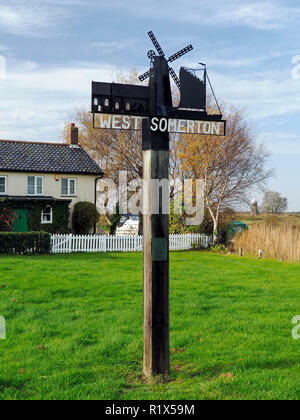 Village sign at West Somerton staithe, Norfolk, celebrating the ancient St Mary's church, the old drainage mill and the wherries built in the village. 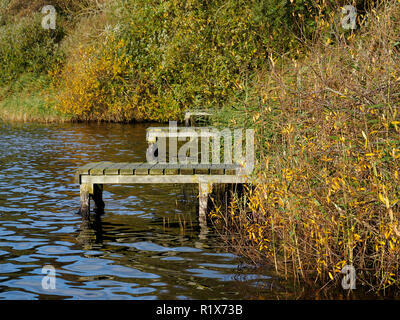 Autumn colours and fishing platforms in the reed beds of Rollesby Broad, part of the Trinity Broads nature conservation area in Norfolk.